It is probably not a surprise that pillar pages have become so popular for content marketer over the past months. They are a great way to boost SEO rank for core services you offer. The different steps that go into making a great pillar page such as research, writing the content and mapping your content clusters can be a bit scary and overwhelming at first. You need your content, marketing, design and SEO team to be aligned in order to successfully create your pillar content. 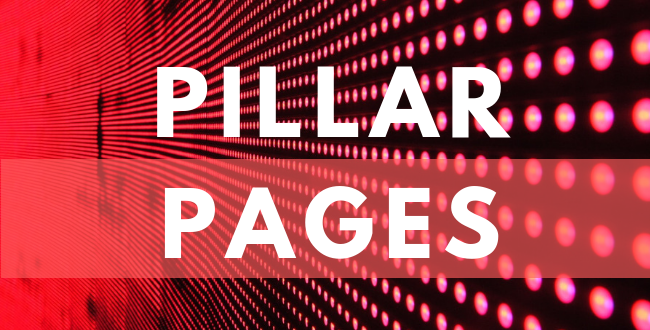 Though the pillar page can increase traffic, leads and ultimately sales, we are going to focus on pillar page construction in this article and how to optimize your top-performing content on a specific topic. We recommend making sure your word count is not too thin. The average Google first page result contains 1,890 words. You should always write for your reader with something relevant and meaningful. At the same time, always try to have a minimum of 2,500 words in your pillar content to provide the most benefit. Because you are writing a longer form of content, try to put as much effort into making it easy to consume for your readers. Break up large paragraphs into smaller paragraphs, use lists, and break up text with spacing to make text blocks easier to consume. From a consumption perspective, a table of content is required for your pillar page so that you don’t make your visitors scroll endlessly up and down as they read your content. Insert a ‘Back to Top button’ on your webpage or similar anchor-linked text at the end of each section. We always encourage using multiple content formats on the pillar page: text, video, infographics, podcast, PDFs, etc… Rich and diverse pages typically rank better and will improve conversion rates. The more text, images, and diverse media you have on a page, the better it will appear to both algorithms and customers. Not everybody enjoys the content the same way, a video might be more appropriate for a person for consuming content. Once the content is written, an important step is design. If you have a CMS, building the pillar page will be easy. You can find 'plug and play' templates specifically made for Pillar Pages in HubSpot’s Marketplace. Most of them are free! If not, you will need to get aligned with the design team and your development team for the process. In inbound marketing, there have been many debates surrounding whether or not pillar pages are the new landing pages. Most importantly, you want Google to be able to crawl it easily, so you want your page to be ungated (users shouldn’t fill out a form to access it). While it is a best practice to remove navigation menus from landing pages, we prefer to allow navigation to make it easier for your visitor to go back to your website and avoid a high bounce rate. Include a simple form at the end of the pillar page that allows the users to download it quickly and easily exchange for a bit of contact information, you will want this page to be conversion focused. Don’t forget readability! If your users are having a difficult time reading the content, they won’t try to go to the bottom of the page. After launching the pillar page, the work is far from over. For a pillar page to be effective, your customers need to be able to find it. This is when you have to establish your online presence and boost your organic SEO. The best way to accomplish that is by optimizing your pillar content and your future blog posts that we will use to link back to your pillar page. Identify social media channels, websites, and influencers that are generating the most traffic and promote your pillar page aggressively to these channels. Align your SEO strategy to the pillar page optimization. Edit the meta title, make sure it includes the keyword strategy, make your meta description attractive and change your URL to match the title of the pillar page. Don’t forget to create any 301 redirects to retain SEO juice from the old version of the post. You will get great SEO impact from external backlinks if they come from sites with strong domain authority. Once you start executing your link building strategy, try to create as many links to your pillar page instead of your homepage. If you already have blog posts created, get the one that supports the topic linked up as soon as possible. Don’t forget to make sure to update your internal linking strategy when the posts are published. Promote the pillar page when it’s published and optimized and all the initial content is linked. Pro tip: Have the external links open in a new window so that the user doesn’t close the pillar page. Remember, people are interested in solving their problems. Write and organize your content in a way that makes it easy for your readers to follow and find the solutions they are looking for quickly while keeping your conversion goals in mind at the same time. Juliette was born in France and expatriated in The Netherlands, Switzerland and studying in Belgium. Being way too practical, advertising was a great way for her to nurture her creative side. 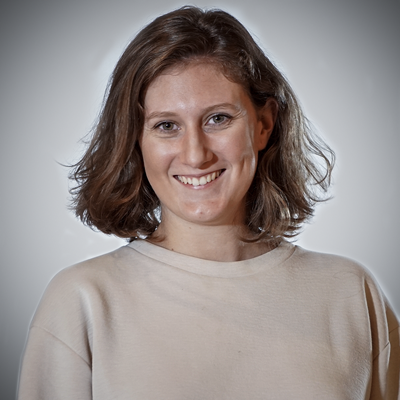 She has narrowed down her interests to digital marketing while finishing her Master’s Degree. Joining the Revenue River team in the US has been an exhilarating experience. Special skill: Finding a four leaved shamrock in less than a minute!